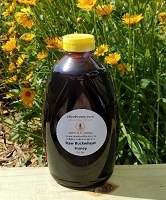 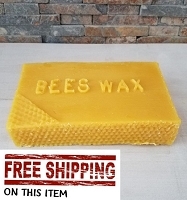 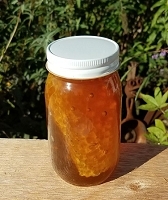 We make our chunk honey by cutting a chunk of comb honey from the beehives. 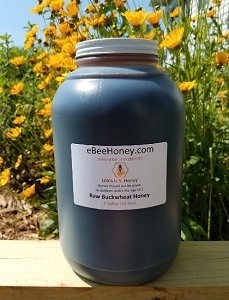 We then place this chunk honey into a jar and pour either clover honey or wildflower honey over it. 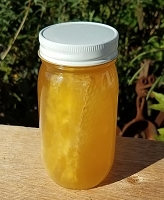 This is the way honey used to be sold years ago. 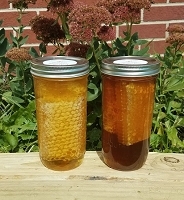 This picture shows the difference between clover chunk honey and wildflower chunk honey. 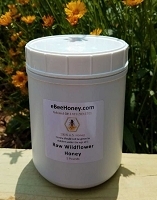 We do not have a lot of wildflower comb honey, so the wildflower chunk will be a section of clover comb honey and then filled with wildflower honey. 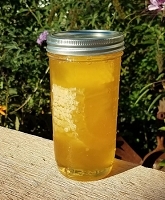 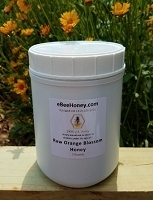 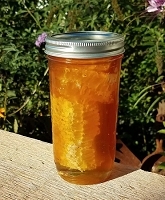 Comb honey comes off the hives in late summer, so if we are out of stock on comb honey and/or chunk honey, we will not have any until the next crop comes in late summer.